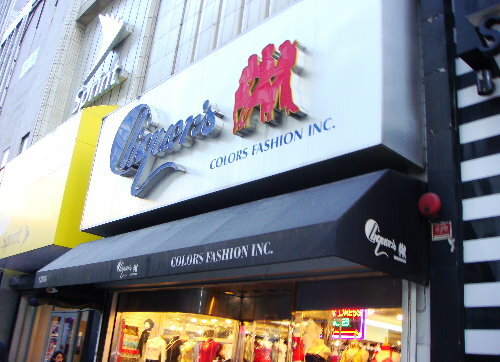 Cliquer’s merchandise is of latest fashion and low priced. But be sure of what you purchase since the return policy is quite restricted. There is no refund or exchange on party dresses and party shoes. Store Hours: Weekdays – 10 AM to 9 PM; Sunday – 10 AM to 7 PM. Return Policy: No refunds. Exchange possible within 7 days of purchase with receipt. No refund or exchange on party dresses and party shoes. Fitting room: Located in the basement section. Not too convenient – but very utilitarian.